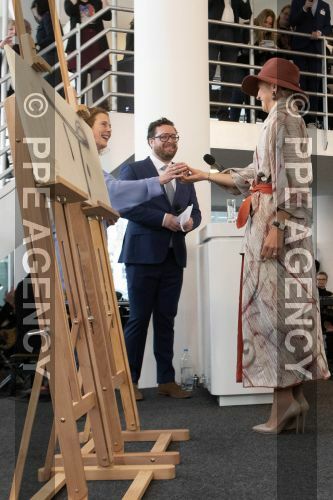 31-01-2019 Heerlen Queen Maxima during the opening of the exhibition Basquiat – The artist and his New York scene at the Schunck museum in Heerlen. nieuwe japon van Natan. The exhibition tells the story of the work and life of the young Basquiat from his period in New York between 1978 and 1982.